We often remember portraits based on their realism: the difficulty of drawing lips just right, the powerful gaze of an important ruler whose eyes follow you across the room. It’s a tradition that focused on the technical realness of the subject to deliver the most accurate representation. Artist Erin Blayney does away with this tradition in her new solo exhibition, Portraits, at Petshop in March. Taking a cue from abstract expressionism, her paintings and sketches are dominated more by color and line-rather than realism-to evoke the psyche within her subject. The realness in her work relies less on technicalities and more on perception. 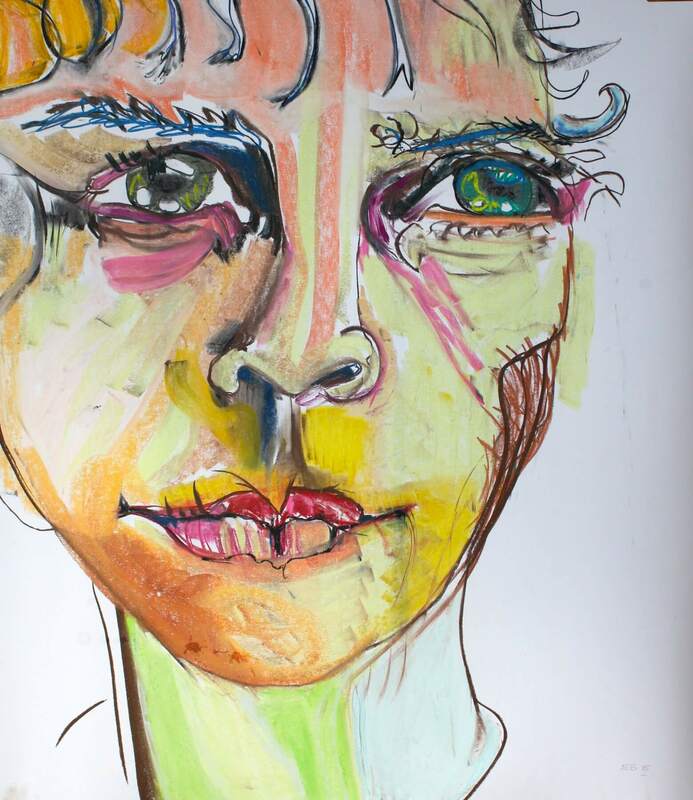 Blayney works in a more automatic format, capturing the faces of her models in quick gestures lending to work that is more instinctual and energetic instead of posed. What you end up with is a picture of emotion, experience and presence-presented as a person.